In the right corner: Charles Barkley, man who thinks coaches need to have great relationships with their best players in order to win. In the left: Shaq, who would like to use his history being a toxic shitheel as proof that players and coaches can win while hating each other. What follows is a failed attempt to argue these positions that devolves almost instantly into petty squabbling. 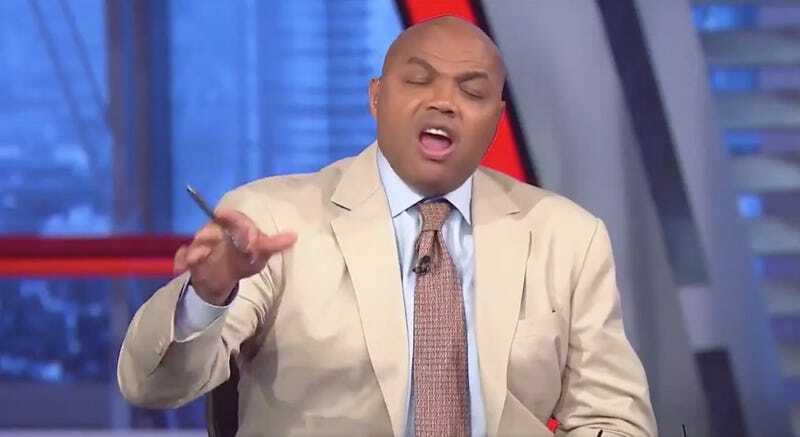 Ernie Johnson would have at least attempted to corral the conversation, though perhaps we wouldn’t have gotten this amusing nonsense.